Music has the power to bring people together. I've long been fascinated by how often people who do not see eye to eye find common ground through music. I think it gives another meaning to the musical term bridge. This sentiment was the inspiration for this song, especially the title. This visual image is based on a song that I have been working on for quite some time with my musical co-conspirator, Jayson Hansen. He wrote the music, and I have been writing and rewriting lyrics. 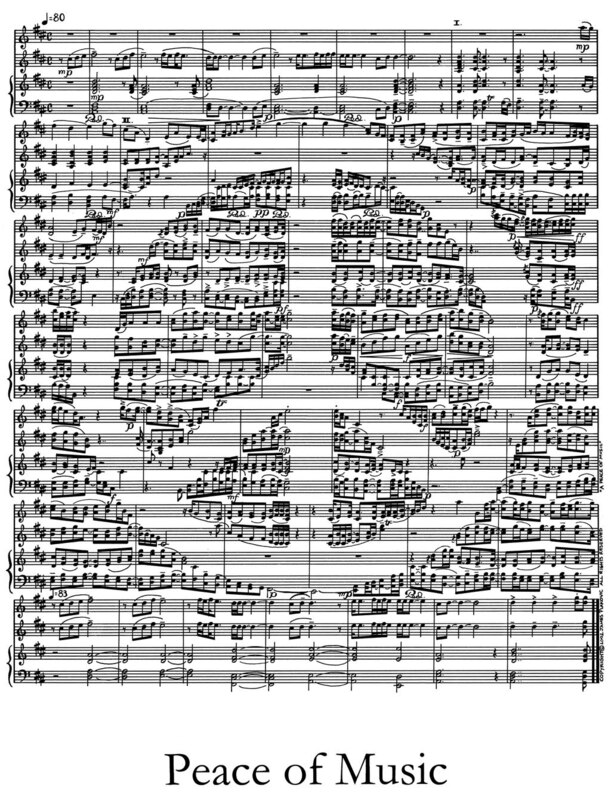 Sometimes the muse is fickle when you're writing a "peace" of music. T-shirts, 18" x 24" prints, and other items featuring this work are available.